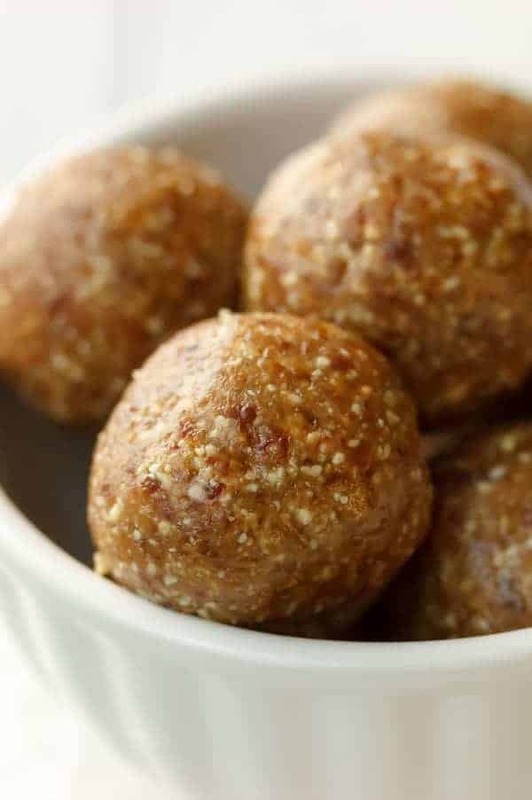 This No Bake Healthy Peanut Butter Balls Recipe is a LaraBar copycat recipe. I like them better than LaraBars and they are super simple to make and more than half the cost. So, we’re a little obsessed with these at our house right now. I love them because they only have 3 ingredients, are quick to make, taste yummy, are gluten-free, only have natural sugars and cost a lot less than LaraBars. Every single one of my children begs for them. The great thing is they taste just like raw peanut butter cookie dough. They are a lot healthier so I can give them to my children often and not worry about them eating a bunch of junk. I roll them into balls, hence the name, peanut butter bites but you could shape them any way you like. 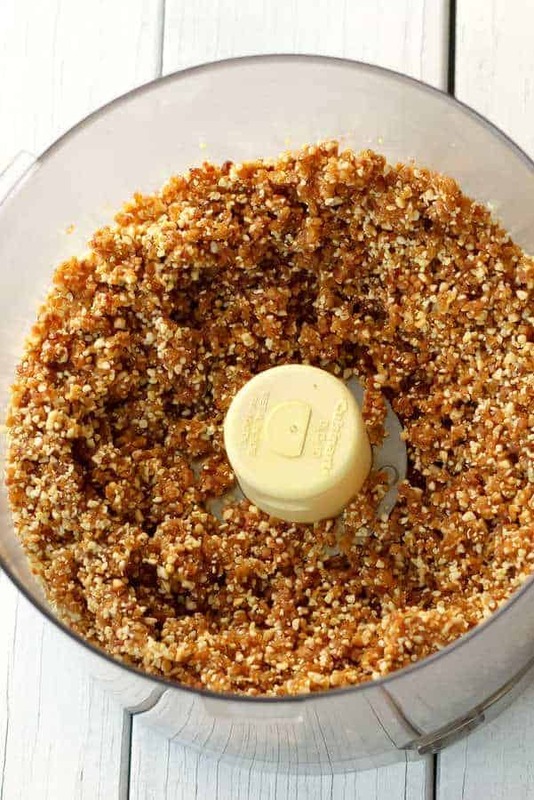 The only tricky part of this recipe is that a food processor really does work best. Click here to see some of the most popular food processors. After my husband watched me try other methods, he went out and bought me a food processor so I didn’t ruin my blender. Hopefully, it should pay for itself in a month or two since we make a batch of these every few days and they cost significantly less than LaraBars. Another thing I want to point out is that dates are getting easier to find. We bought ours at Costco, plus they have them in the bulk section at Winco. As for the peanuts, it makes a huge difference in what peanuts you use. If you make them and they don’t taste peanuty, you probably need to try a different brand of peanut. The best ones I’ve found are in the bulk section at my natural food health store. I like to hide these No Bake Healthy Peanut Butter Balls in the back of my fridge and try to make them last a week or two, but they are usually gone in a few days. My children love them in their lunches or for an after-school snack. My favorite indulgence is to wait until the children and my husband are all in bed and then make coconut oil popcorn in a pan with Real Salt. 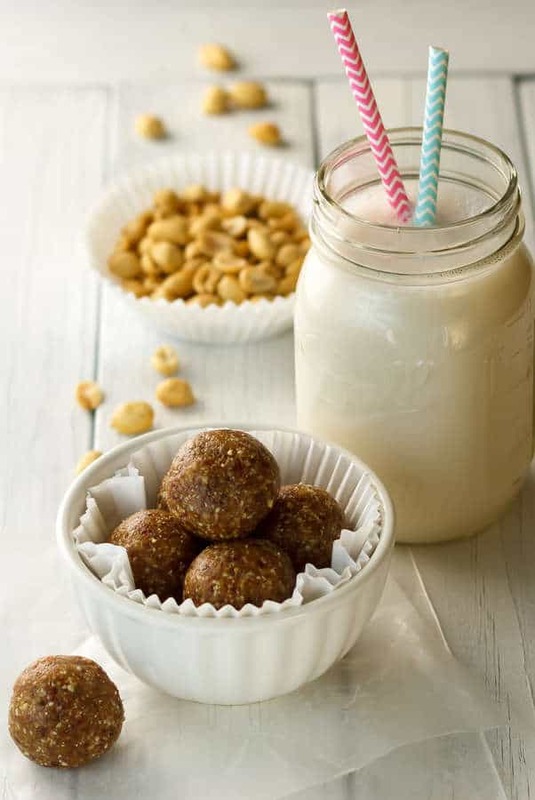 Then I take a little bite of one of these No Bake Healthy Peanut Butter Balls and a few pieces of popcorn. It’s so good. It’s hard to explain, but the salty and sweet together are SOOO good. You’ve GOT to try it! And let me know if you try it. I would love to hear if anyone else likes these that way. If you want a little less sugar in your life, you can get away with putting fewer dates, but they will be dry and crumbly. 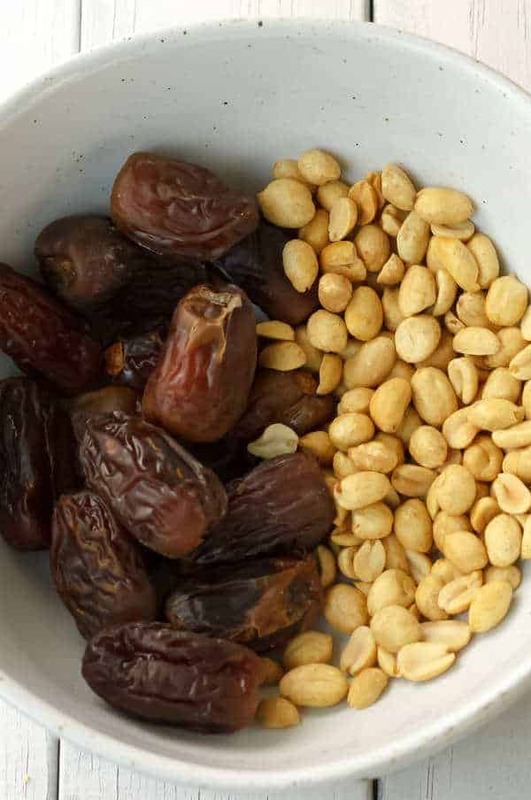 As for the number of dates stated in the recipe, it’s not a hard and fast number. I slowly put them in and check the consistency and stop putting them in when they easily form a soft ball. It totally depends on how dry your peanuts and dates are. This is about what the mixture should look like after you’ve blended it. Sometimes I like to just turn it on and let it run for a while until it starts sticking together. That makes them more blended than this. Or sometimes I like them to have a texture, so I do it like the photo below. 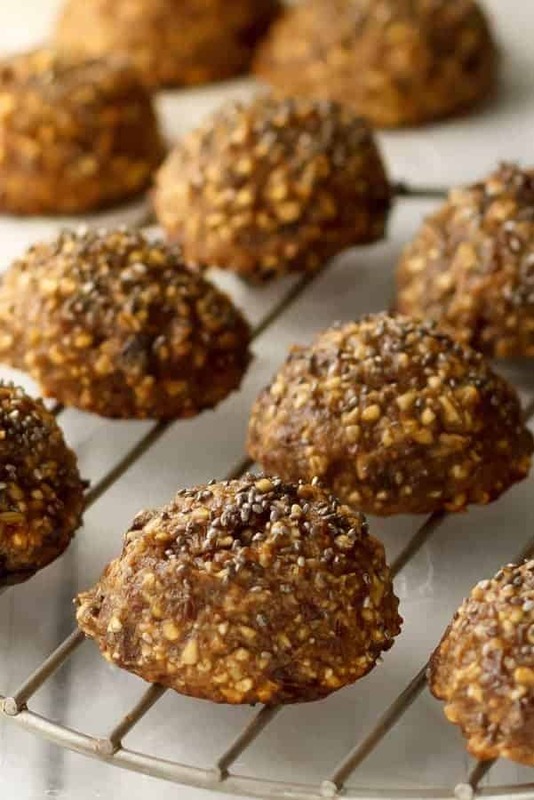 It’s totally up to you how course your no bake healthy peanut butter balls are. Put all the ingredients in a food processor and process until it stops. Roll them in to balls or bars. Larabars for more than half the price that taste better and take only few minutes to make! I’m excited. I actually made some and I really liked them. I’m going to make them all the time.